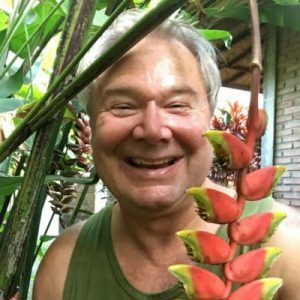 Don Hanson holds a master degree in Transpersonal Psychology and is a licensed Interfaith Minister. For the last 35 years he has been traveling internationally and has taken thousands of people through a journey of deep cellular/molecular purification and metamorphosis. Don has been on the spiritual path for over 47 years. Through sitting in the light for all this time he has mastered the art of becoming a human being separate from the brainwashing and cultural conditioning of old world mind. As Don spent decades studying both psychological and spiritual disciplines he unlocked the fountain of light in his consciousness. This opened up some beautiful spiritual gifts and abilities. He now uses his talent to help others to open up and realize their full potential and who they are as beautiful precious human beings.